With this release it’s just about official. Following Kulanjan and Afrocubism, his collaborations with Ali Farka Toure, and his own work, solo or with the Symmetric Orchestra, Toumani Diabaté is another name on Hughesy’s buy anything this dude appears on list. That’s because, on the evidence to date, Toumani Diabaté isn’t just a master of the kora, that West African cross between harp and lute, he’s also a master collaborator when it comes to cross-cultural musical experiments. As such, I can’t help comparing him to Robert Randolph, who’s probably my favourite sit in and jam instrumentalist. That may sound like a big call, but cast the peepers over this bit of YouTubeage from the Los Lobos Live at the Fillmore DVD. I’ve also seen him sit in with the Allman Brothers as well (though the footage doesn’t seem to have crept onto YouTube), and while he’s capable of taking a stinging lead with the best of them, the rest of the time you can see him looking for a spot where he can sneak a lick in, and when he does it’s managed with taste and dexterity. Playing the much harder to amplify kora, of course, Toumani doesn’t get the chance to sling in stinging lead breaks, but through everything I’ve heard him collaborating on he manages to sneak things into the mix in much the same way as Mr Randolph. One suspects peer group recognition of this ability has a lot to do with frequent invitations to collaborate. This time around, however, it seems to have been Toumani doing the inviting. 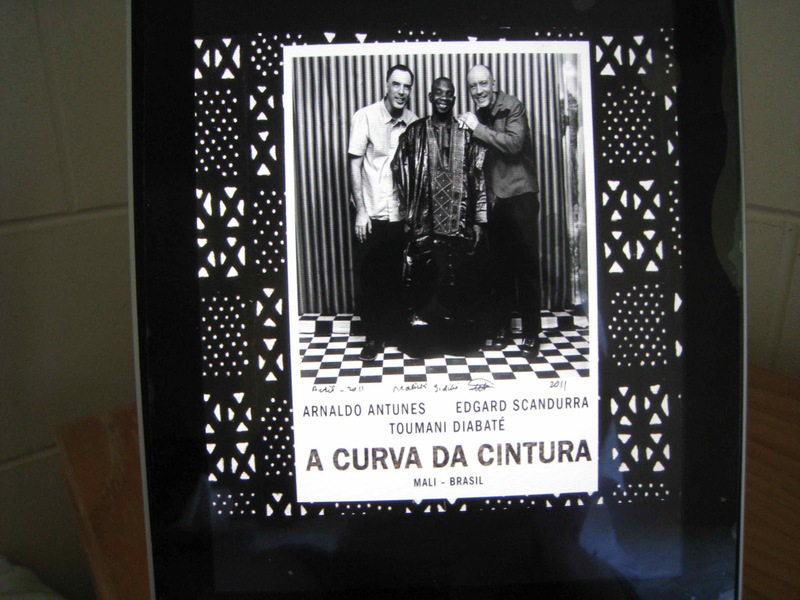 After collaborating with Sao Paulo alternative rocker, songwriter, poet and artist Arnaldo Antunes and guitarist Edgard Scandurra at the 2010 Back2Black festival in Brazil, he invited the pair to record with him in Mali. They arrived in Bamako in April 2011 with a collection of songs they had written, and the result, once they’d got together with Diabaté and a selection of other Malian musicians, is an Afro-Brazilian fusion that doesn’t work in quite the same way as Kulanjan or Afrocubism. 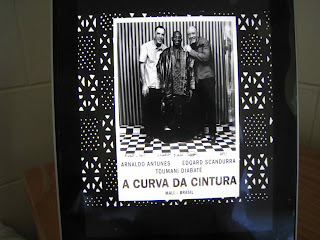 Where those other collaborations brought traditional material from both sides of the fence and blurred them in together, here we’re looking at new territory as the Brazilian vibe is set against a different backdrop rather than taking a bit of samba and slipping it in among the Africanisms. We’re looking, in effect, at a Brazilian record with added tonality through the kora and balafon though there’s a reworking of Diabate's Kaira, and African vocals and instrumentation come to the fore on Ir, Mao. Now, given the fact that the lyrics are in Portuguese, you’re not going to get a whole lot out of the words, so it’s probably best to treat the whole exercise as a soundscape, and while things are a little uneven, veering between fairly straightforward melodies and complex fills, laid back ballads and rocking psychedelia as Toumani's son Sidiki whacks his kora through a wah wah pedal. The key elements on the Brazilian side of the soundscape are, predictably, Antunes’ voice and Scandurra’s guitar work (in both acoustic and electric modes) while the father and son kora combo, the vocals of Zoumana Tereta, Fode Lassana Diabaté’s balafon and Zoumana Tereta’s soku fiddle add the African light and shade. The result is an interesting listening experience that mightn’t be everyone’s cup of tea but will ensure I’ll be lining to hand over the readies when a new project with Toumani Diabaté’s name in the credits appears on the market.